We all know what we don’t want: we don’t want to get fat, smoke, be unfit, be lonely, ill, stressed poor or unattractive. But when we focus our attention onto what we don’t want we create a mental image of what we are trying to get away from and actually end up attracting exactly that which we are trying to avoid. This is because our subconscious does not understand “negative” language. The classic example is someone asking you not to think of pink elephants. What are you thinking about? Our society is based on negative language. We tell our kids not to touch this or that, we tell them not to do this or that and what do they do? exactly that very thing. This is because our subconscious is a goal striving mechanism: tell it what to do and it will get you there somehow, so instead of telling it what you don’t want, tell it what you do! Because we are not used to doing this, you can start with what you don’t want, then ask yourself: what do I want instead of this? If your parents always wanted you to be a doctor and you are going through with your studies because you want to make them proud or you don’t want to disappoint them you are not going to be truly engaged with your goal and sooner or later you are going to become unmotivated. In other words: if you are trying to live up to another person’s expectation or the idea of you, you are going to subconsciously resist this in some way and you will eventually sabotage yourself because you don’t really want what you think you want. It is important therefore that you examine in detail what is truly important to you, quite apart from what others may want for you or think you should be. If you do not do this your goals will be influenced by their opinions, be that your peers’ your family’s your spouse’s the media or such things. You need to care enough about your goal in order to have enough energy to push through the inevitable challenges along the way. Let’s face it: nothing is easy and every goal requires determination in the face of difficulties. So why waste energy ‘trying to’ be or get something you don’t truly want just when you would have much more energy putting all your efforts towards achieving something that truly gets you excited? If you want to build a house you first need to imagine what it looks like. Then you need to make a drawing of it and only later will the details come in. If you can’t picture the house you cannot build it. The same is true for other goals. If you are one of those who believe you have no imagination think again: everyone can daydream; you did it throughout your childhood whenever a boring teacher went on about something you didn’t care about. Talking about what you want with a friend or writing about it will help you ‘see’ it more clearly in your ‘mind’s eye’. When you do this, use the present tense, as if the goal has already been achieved and think of how you will feel when you do as if you already did: this will make you connect to the emotion behind it which will be the motivating motor behind your actions. Be specific: specify what you will see, hear and feel when your goal is achieved. The more vividly you can do this the more compelling and possible your goal will be. This is because the imagination is the language of the subconscious and images speak louder than a thousand words. When you imagine the desirable things you want as if you already have them this will give you positive feelings about your goal and it will provide you with an emotional pull to achieve it. If you are vague your actions will be vague and you won’t get anywhere. Don’t say something like “I want to be happy”. That is not a goal, it’s a feeling and you are already in charge of how you feel if you accept responsibility for how you respond to what happens to you. Instead, think about a specific and measurable goal in terms of what will be in place when you achieve it because this will give you an indication of when you have achieved it and it will help you notice any aspects of the goal that needs to be adjusted. After you have done the above and you are feeling really good about it, step out of it and think about the first step you need to take to begin the process of making your goal come true. If you don’t put a specific date on your goal you will be more likely to put it off and deal with something “more urgent”. Don’t be vague and say “next year” or you will be telling your subconscious that your goal will always be a year in the future. Instead, use an actual date so that as time goes on you will be able to see yourself getting closer to it and it will motivate you to put in the effort to make it come true. They say: be careful what you ask for in case you get it! So think about what comes with what you want. If you want to set up your own business are you aware of all the time you will need to put in, in order to make it successful? You need to be aware of all the consequences of achieving your goal such as the effects on your health, your relationships, and the wider community so you can make the changes necessary to avoid unwanted side effects. Your unconscious is better aware than your conscious mind about possible pitfalls that may stand in your way and since its language is emotion rather than reason ask yourself how you feel when you think about your goal: do you feel energized and excited or discouraged and tired? If you don’t feel a hundred percent about it there is probably something you have consciously overlooked or ignored so pay close attention and be honest about what you find. If you feel overwhelmed by how big your goal is you need to ‘break it down’ into achievable chunks otherwise you’ll get discouraged and are more likely to give up. If this has already happened you probably have lost a bit of motivation. If this is the case first shift your attention fro what you need to do to get there to how great it will be when you have achieved it. Then break down the goal into smaller steps. Each step is a mini-goal in itself and you can feel good when you complete it. Celebrate every small victory and give yourself a small reward every time you achieve a mini-goal. If you are unsure of what the next steps need to first imagine the goal as if you already had achieved it. Then ask yourself: what conditions need to be in place in order for this to be able to happen? Work your way back through time until you get back to the first step you need to take. Put the work in; the more you put in the more you get out of this process. Get started now. Most people don’t know what they really want and so they avoid setting goals altogether. But think about it: If you don’t put in the time and effort to find out what you really want you will never get anywhere. When you don’t set any goals you’ll just drift reacting to what life throws at you. Or even worse others will set goals for you and you’ll just go along with them. This is a recipe for feeling unfulfilled, vulnerable and lost. 1) Ask a friend to ask you: what’s important to me in a career? what’s important to me in a relationship? continue for each area of your life. Tell your friend to keep on asking you even when you think you have discovered what you value the most because often the most motivating values you have are the most unconscious or least obvious. 2) Experiment and try out different experiences. Pay attention to what you enjoy and what you don’t. Ask yourself what it is about each experience that you really liked. This will give you an idea of what you really value, what excites and motivates you and who you really are. Persist and remember: there is no failure until you give up! 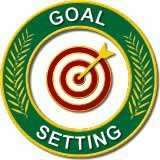 If you want assistance with your goal setting, consider coaching. These are my coaching principles for success. You may also be interested in this article on how to be more confident.